What Region Contains Holy Sites For Islam Judaism And Christianity? Home / Spirituality / What Region Contains Holy Sites For Islam Judaism And Christianity? What Region Contains Holy Sites For Islam Judaism And Christianity? 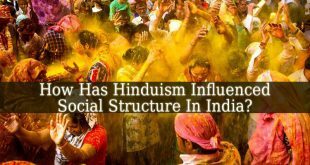 – These 3 of the major religions of the world have not only some religious philosophies in common, but also some Holy Sites. To see What Region Contains Holy Sites For Islam Judaism And Christianity, we have to see where these religions originate from. And it shouldn’t take long to figure out that all three of these religious belief have their origins in the Middle East. And if you want to be more specific, each of these religions have holy sites in the state of Israel. The Islamic Holy Land – Jerusalem is a very important place for Islam. The Muslims call it the Holy Land. The Quran describes in one of its passage about Musa (or Moses) who says “O my people, enter the holy land which Allah hath assigned unto you, and turn not back ignominiously, for then will ye be overthrown, to your own ruin” (Surah 5:21). This passage refers to Jerusalem “the holy land”. Also, Islam has one of their most important mosques in Jerusalem, The Al-Aqsa Mosque. Since the first Jewish Diaspora took place, they continuously try to get the Land of Israel back. And it is not surprising, because they were banished from their holy land, Israel. They also call Israel the “Promised Land”. Because it was promised to the Israelites (later Jews) by God. As recorded in ancient scriptures. Still, the Israelites and Judahits were continuously expelled from their holy land. Until the 19th century, when they were allowed to form a community there. Today, the Jews can go in pilgrimages to the Holy Land anytime. Do you also want to know Why Did The Caliphs Demonstrate Religious Tolerance To Jews And Christians? or What Is A Sect? The Land of Israel is of value for Christians due to its association with birth, death and resurrection of Jesus Christ. Nowadays millions of Christians join into pilgrimage to Israel. There they can find not only The Church of The Holy Sepulchre, but also the Tomb of Christ and the tombs of saints. Visiting these holy places are of high importance for Christians. These pilgrimages take them closer to God. And also helps them to re-live the experiences of Christ carrying His Cross on “The Way of Sorrow”, until the Golgotha. This Holy is filled with significant places, monuments, churches and symbols for Christianity. In conclusion, the answer to the question What Region Contains Holy Sites For Islam Judaism And Christianity? Is simpler than you might think. The Land of Israel has high significance for all three of these religions. 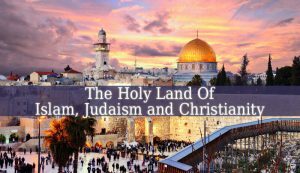 And, in our days, the followers of each of these religions are able to visit their holy land. Which is uplifting and important for them. Next How Did Judaism Differ From Other Religions Of Ancient Times? Pingback: Which Concept Is An Inherent Element In The Muslim Belief System?